You are here > City of Defiance, Ohio > Notices > Defiance Splash Park Award! 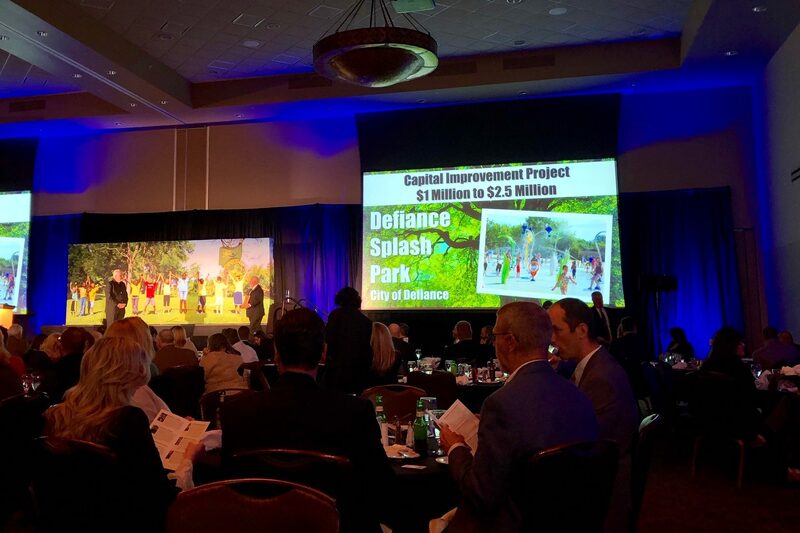 The Ohio Parks & Recreation Association (OPRA) held their Annual Conference this week and presented Awards of Excellence for 2018. The Defiance Splash Park opened to the community on July 4, 2018. The total cost of the project was $1.29 million with $646,000 raised through fundraising efforts. The park was open from 9:00 a.m. to 9:00 p.m. through September 30, 2018 when it closed for the season. This inclusive park will reopen in May 2019 and is free to all. Service Director Rob Cereghin accepts the award for the City. This is an exciting award for the Defiance Community!